Aside from the NEMA ratings set for the classification of electrical enclosures and its qualities, there is also what we called IP Ratings. This method of classification is also helpful in terms of qualifying which electrical enclosure should be used. The IP (Ingress Protection) is used by the companies in Europe while NEMA is used in the United States. IP ratings are used to set the standard of protection a type electrical enclosure can provide against harsh or extreme environmental conditions. The complete definition and description of different IP ratings and the associated tests are found in the IEC Publication 529 for your future reference. Even if originally these ratings are designed and developed in such a way to differentiate enclosures, these ratings can now provide engineers with accurate information and convenient way to compare sealing levels. IP ratings are also used to describe the degree of protection an electrical enclosure provides for the electrical equipment it houses. IP ratings has helped organisation and companies to have a standardised and uniform system classification of describing electrical enclosures and the tests involved to test its various degrees of protection. For solid ingress protection, the levels 5 and 6 are mainly the standards used for dust ingress. The level 5 IP ratings may allow some dust to enter but not all. It is safe to say that the Level 5 may not provide a complete protection from dust ingress depending on the application. Usually, Level 5 is used for equipments that will not be affected even if with some presence of dust inside the enclosure. In comparison, Level 6 provides a complete dust protection. Several tests are conducted using a dust chamber with the presence of fine talcum powder. The powder is then recirculated in an area using a blower. In some cases, there are additional test requirements such as using a partial vacuum drawn through the enclosure. These tests are performed within a specific time period, between two to eight hours. The time also depends on how much volume is drawn through the cabinet. In addition to this, the non-vacuum tests lasts longer up to eight hours. In summary, the levels 3 and 4 provides water ingress ranging from drip resistance, or ingress through sprays and jets. This also includes protection from water ingress by total immersion of the enclosure. For Levels 7 and 8, these enclosures are totally submerged in water. The level 7 IP rating is tested through water submersion for 30 minutes. In level 8, a special test is done in terms of duration and resistance to external water pressure (proportional to depth) agreed upon by the company and their manufacturer. 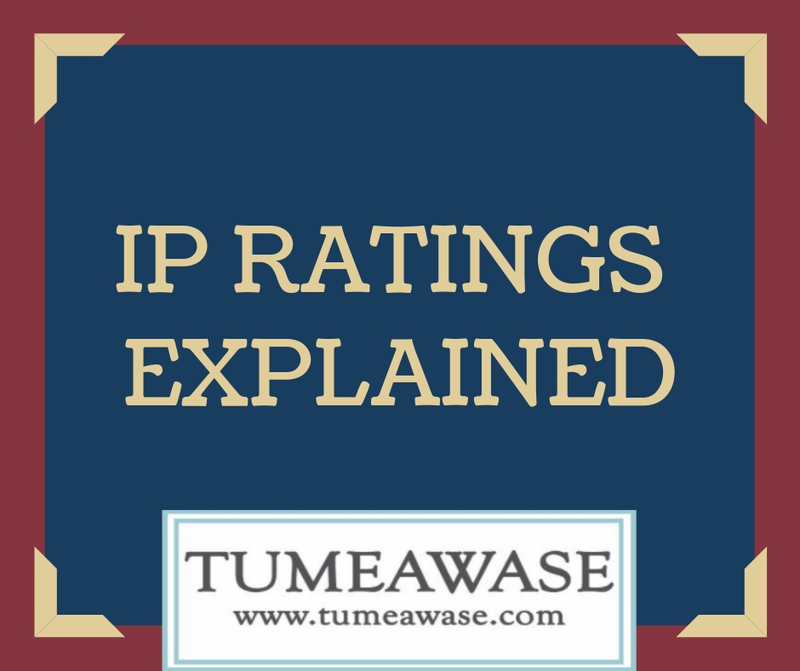 Previous Previous post: What is IP Rating? Numbers & alphabets in IP Ratings explained.